Accompanying the lecture Acequia Culture in the Mesilla Valley by Amado Guzmán, the Cultural Connections Book Club will discuss Silvia Rodriguez’Acequia: Water-Sharing, Sanctity, and Place on Wednesday, April 16, 2pm to 4pm. In 2014 the Branigan Book Club will be pairing books with our monthly History Notes lecture series. Acequia organizations are often associated with northern New Mexico, but negotiating the use and care of water systems has long played a role in small agricultural communities in the Southwest and beyond. On Thursday, April 10, NMSU public history graduate student Guzmán, will give a lecture on the role of acequias around Las Cruces. The book choice for April builds on this lecture. Dr. Silvia Rodriguez, Professor Emerita in the Department of Anthropology at the University of New Mexico, grew up in Northern New Mexico and returned to the state after earning her doctorate in Anthropology. She has studied land use, acequia culture, and tourism over the course of her career in academic and applied anthropology. Dr. Rodriguez is also currently preparing an exhibit on acequias to open this spring at the Maxwell Museum of Anthropology. Acequia: Water-sharing, Sanctity, and Place summarizes her work on understanding how acequias serve to create communities among people that are rooted by place and water, if not by common history. The detailed and well-documented book relies on her ethnographic research among acequia organizations over the past several years, examining the social, political and ecological repercussions of shared water use systems. 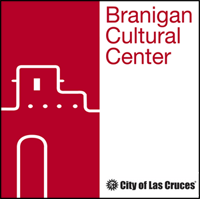 Please read Acequia and join us for a discussion of the book on Wednesday, April 16, from 2pm to 4pm at the Branigan Cultural Center.